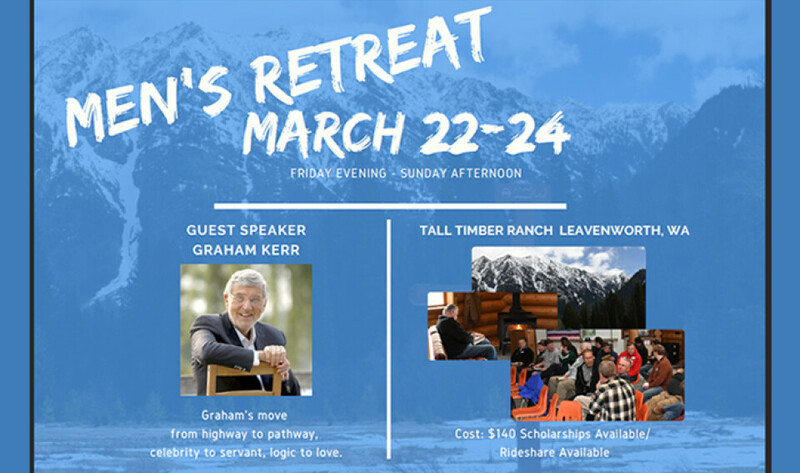 Men’s Retreat is Fast Approaching - Guys, we are invited to join men from North Creek Presbyterian Church for their Men’s Retreat coming up March 22–24, at Tall Timber Ranch near Leavenworth. Cost is $140 for two nights lodging and meals. A special speaker will be there who has an important message for guys of all ages – Graham Kerr. Pastor Mike (425-923-6313 or ), if you have questions.